I was almost invisible, that’s what I was, except for the smell. Unnoticed on purpose. This strange place was a fever dream of pace and size. Eyes stared straight ahead, never turning to check their surroundings: blatting horns, a dozen variations of rhythms and throbbing drums, lights that bled bleary patterns. Squat, crumbling edifices, people drooped over windows, waving away the smoke they just blew, squealing tires and baritone curses. The sounds were unfiltered, the pure noise of non-communication, animals chanting in different languages. The faces were starring at false pastels and a charmed pavement meant only for their feet. Lights of every color, the greens and orgasmic reds, flickering and flowing, buzzing and flashing. Peeling signs and ruptured bricks, silt stains on gray paint. They were tamed animals acclimated to their cages. 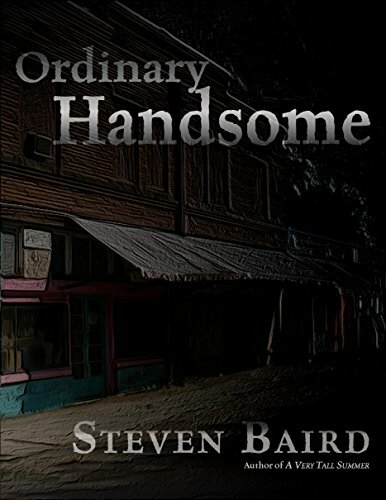 There were no surprises to discover, and there was nothing more appalling than the next guy, and the next guy was me: bare feet, a mismatched stratum of sweaters, scabs on my hands, grime under my nails, matted hair and beard. I must have looked like a wild man, my head turning, my arms straining for balance, trying to hold everything back, away from me, but that wasn’t a problem. No one wanted to be close to me. Their eyes averted just enough to ignore me without walking into me. I knew how bad I smelled. The stink curled out of every pore. It was all dangerous and loud, and I was just another unformed organism sucking the air out of their air. Their greatest weapon was their fear, I could feel that. I held my arms out for safety and for balance. I saw my face reflected back to me in a window and was appalled and frightened. My fear did not frighten anyone at all; all those eyes just stared straight ahead. Thanks. That’s one of those words that I usually stumble over for some reason.